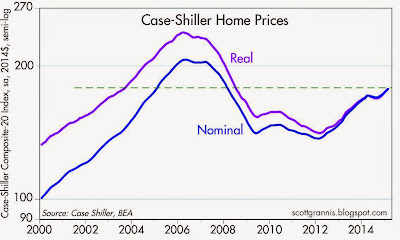 Calafia Beach Pundit: What equity market bubble? Fascinating commentary by Scott Grannis. 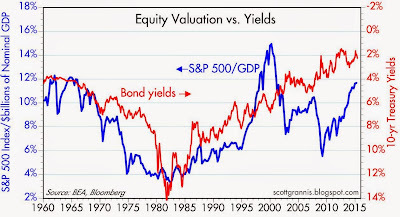 It is an interesting School of Economics that holds that the free enterprise system is so feeble and unstable that low interest rates will cause massive and dangerous misallocation of capital and bubbles. 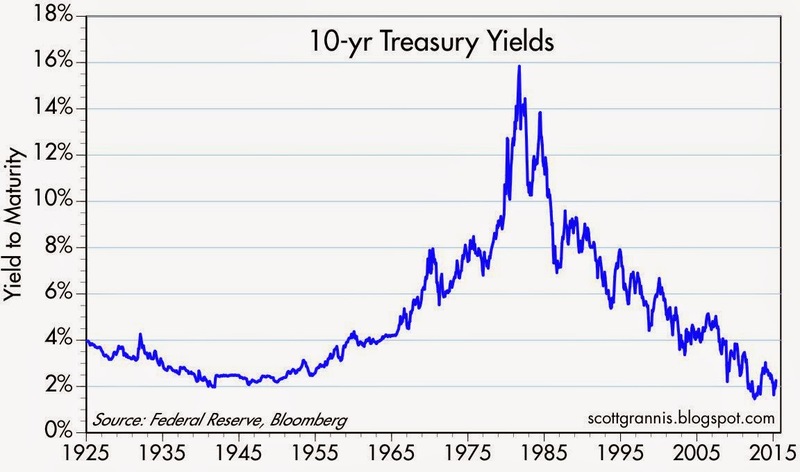 Thus the Fed must ever keep interest rates high. 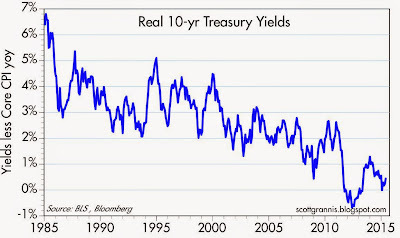 Investors and business people lose all perspective when interest rates are too low. I do disagree with Scott Grannis on one item: the Fed in fact printed money during QE. The Fed placed reserves into the commercial bank accounts of primary dealers, but the primary dealers paid cold hard (digitized) cash for the bonds they purchased. 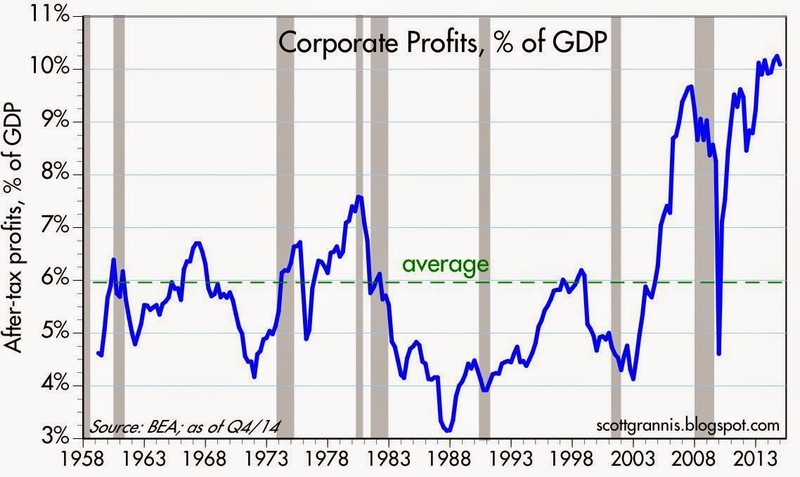 Fine by me---I just wish the Fed had been even more aggressive. scott, your piece presupposes that by quantifying risk in stocks you might at some time sell to avoid losses when they become "frothy". otherwise, why bother with the exercise at all? with the greatest respect (yours is the only economic blog I have bookmarked!) I think this is just silly beyond extreme. 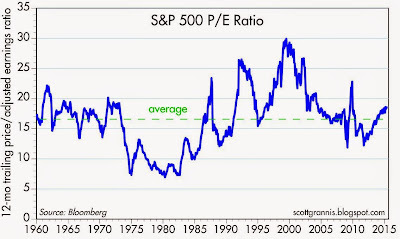 there is virtually ZERO evidence that anyone has EVER been able to "time" stocks favorably (better than buy/hold) over the long run. therefore, all efforts to quantify risk are by definition, futile. Thanks again. I have appreciated your explanation regarding QE, particularly 'transmogrification'. 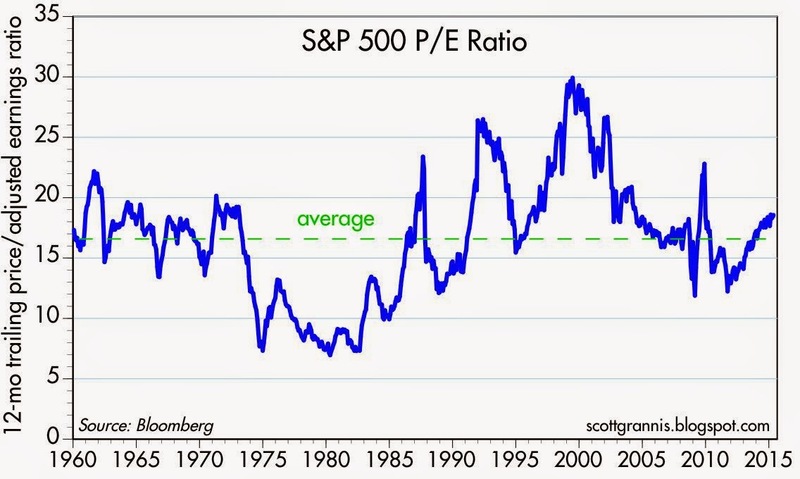 My feeling is also that US stock prices are not much overvalued, though it is just that--a feeling. 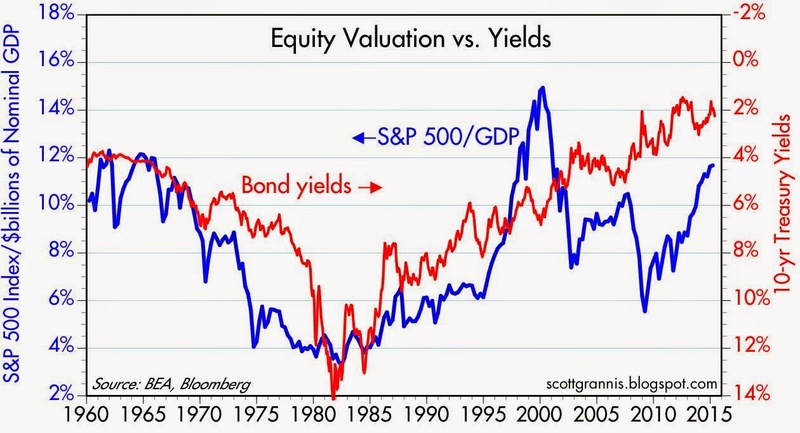 So, are we to view indicators such as SP500 to regression trend, Total Market Cap to GNP, Household percentage of financial assets allocated to equities, Median P/E Multiple, and Median Price to cash flow as mostly just long-leading, or even very long-leading? The negative case is fairly simple. First of all, the Wall St Journal 5/8/15 has the 500 at a 21 PE on trailing 12 months. That is high. 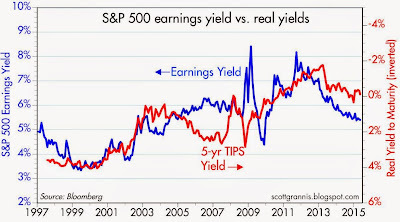 Low interest rates provide a “carry” for margined stocks. People buy payments, not prices of houses. If rates go up significantly the carry is lost in margin accounts and monthly payments for homes goes higher. That said, I think a high PE is justified not because of rapid growth of EPS but that with bond yields so low people are willing to look farther out into the future for their rate of return with stocks. 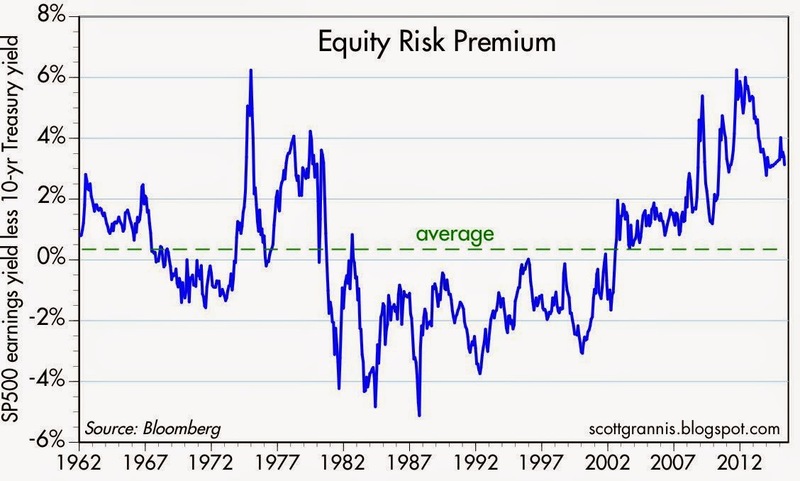 (This is a more simple explanation than risk premiums and inflation expectations). I don’t think rates will go up much if they even do go up. 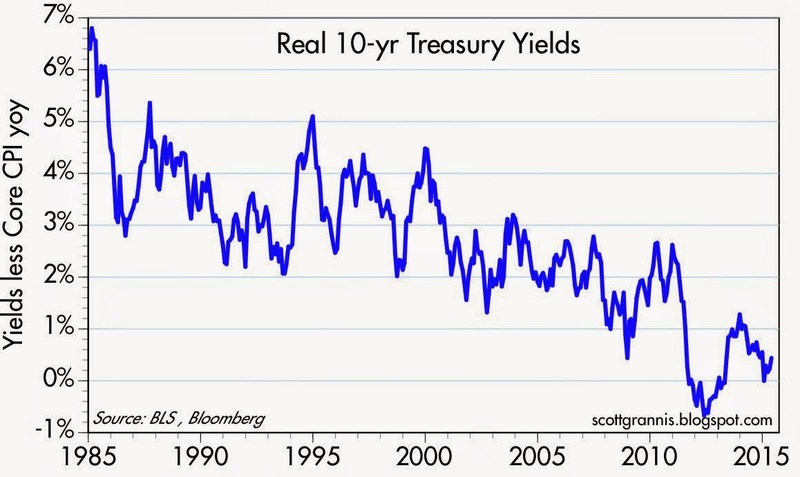 I do think we can be in a new normal of low rates. I think stock buybacks will buoy the stock market. And the economy could very well continue to grow slowly in spite of the recent slowdown that is of concern right now. An increase in rates just has to be discounted in stock prices by now. Sell on the rumor and buy on the news (after a dip when the first rate increase is announced). steve: I appreciate your comments regarding the futility of trying to "time" the market. I am a long-term investor and make no attempts to get in and out of the market. Nevertheless, I do think it's valuable to have a sense for whether the market is too optimistic or too pessimistic; a general sense of valuations. That helps in asset allocation decisions, in how aggressive to be with one's positions, and how to deploy cash and make decisions on the margin. 2) American Association of Individual Investors Sentiment Survey last week had: Bulls - 27.1%, Neutrals - 46.1% and Bears 26.8%. Ed Yardini tracks the 52 week moving average of Investor’s Intelligence Bulls / Bears Ratio which is now at 3.46 - the highest since records began in 1987! Vastly higher than in early 2000 or late 2007!! See chart in link below. william, that sentiment data is notoriously volatile. a 10% "correction" which is nothing but a blip would reverse the sentiment. all this talk about valuations, sentiment, momentum...I've heard ad nauseam for literally decades. make your investment decisions (preferably index funds) and leave them ALONE. I'm not denying the wisdom of what you have said, Steve, including the use of index funds. But at age 73 1/2, I am now 50% long stocks and 50% cash. No bonds. However, two years ago I was 124% long stocks. PPI in deflation. Retail sales stagnant. 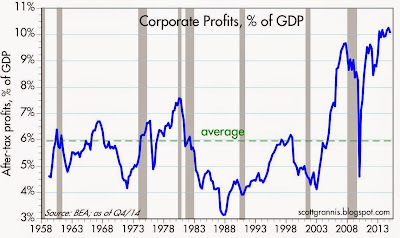 GDP Q1 dead in the water. The Fed wants to raise rates? 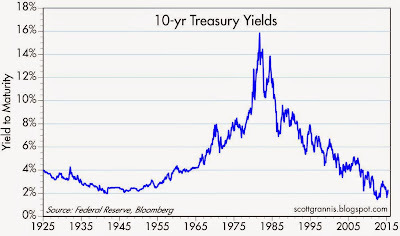 I think if the Fed does raise rates, it will only lower long-term rates. Thanks for the suggestion, Steve.